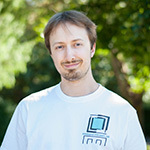 Dene Grigar is Director of the Electronic Literature Lab. She also serves as the Director of the Creative Media & Digital Technology Program at Washington State University Vancouver, with research focusing on the creation, curation, preservation, and criticism of Electronic Literature, specifically building multimedial environments and experiences for live performance, installations, and curated spaces; desktop computers; and mobile media devices. 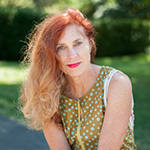 She has authored 14 media works, such as “Curlew” (with Greg Philbrook, 2014), “A Villager’s Tale” (with Brett Oppegaard, 2011), the “24-Hour Micro-Elit Project” (2009), When Ghosts Will Die (with Steve Gibson, 2005), “Fallow Field: A Story in Two Parts” (2004), and “The Jungfrau Tapes: A Conversation with Diana Slattery about The Glide Project” (2004), as well as four scholarly books and over 50 articles. She also curates exhibits of electronic literature and media art, mounting shows at the Library of Congress and for the Modern Language Association, among other venues. She serves as Associate Editor for Leonardo Reviews and is President of the Electronic Literature Organization. Her website is located at http://nouspace.net/dene. Holly Slocum is currently the Project Manager for the Electronic Literature Lab. She is pursuing a B.A. in Digital Technology and Culture with a minor in Communications. 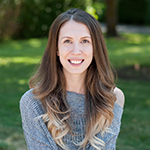 Holly has a focus on front-end web development and content creation. Her recent projects include the development of interactive modules for the OER DTC 101 textbook and the reconstitution of the journal frAme, published by trAce Online Writing Centre, 1999-2001. 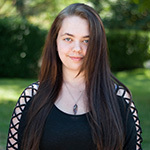 Mariah Gwin is the Games Research Assistant for the Electronic Literature Lab. She is pursuing a double B.A. in Digital Technology & Culture and English with certificates for Games Studies & Design and Professional Writing. She is expecting to graduate in the Spring of 2020. With the Electronic Literature Lab she has presented at Implementing New Knowledge Environments, a Digital Humanities conference in addition to having presented at research showcases to spread the results of the Traversal project. She was also a contributing author to the open-source book, Rebooting Electronic Literature. Her focus rests primarily on writing as well as front-end web development, content creation and design. 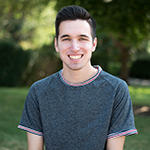 Andrew Nevue is currently an Undergraduate Researcher for the Electronic Literature Lab. He is pursuing a B.A. in Digital Technology and Culture along with a minor in Communications. Andrew has a focus on Design and Social Media and will graduate in Spring 2020. In addition to his duties in the lab, Andrew is also Student Ambassador for WSU Vancouver. 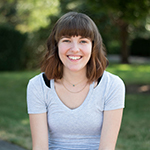 Kathleen Zoller is an Undergraduate Researcher working in the Electronic Literature Lab who is pursuing a B.A. in Digital Technology and Culture. Her focus is digital animation and she gained much experience working with multimedia book development on the Scalar platform when she was a contributing author to Exploring Careers in Digital Technology and Culture. 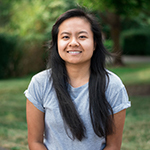 Moneca Roath is currently an Undergraduate Researcher for the Electronic Literature Lab. She is pursuing a B.A. in Digital Technology and Culture with a minor in Film Studies. Moneca has a focus on video production and content creation, and will graduate in Spring 2020. She is also working as a Technical Assistant in the library on campus. When she is not at school/work, she is out traveling with friends or family, and is always ready for an adventure. Greg Philbrook is a graduate of the Creative Media & Digital Culture Program and now works as the program’s technical and instructional technician. 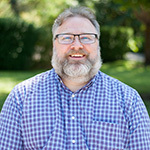 In this position, he manages the program’s computer labs and web server, heads student workshops, and collaborates with faculty on numerous projects. As a developer, he has built both the preservation catalog for the Electronic Literature Lab and the program’s inventory system, worked with Dene Grigar on “Curlew,” and created the interface for “Sound Spheres” with John Barber. He has also served as the technical support at exhibits curated by Dene at the Library of Congress, Electronic Literature Organization conferences, and Digital Humanities Summer Institute in Victoria, B.C. Élika Ortega (U.S.). Research into print manuals accompanying electronic literature. Spring 2018. Piotr Marecki (Poland). Study of media archaeology lab. August 2017. Monika Górska-Olesińska (Poland). Research into Stephanie Strickland’s True North. September 2016. Daniela Maduro (Portugal). Shapeshifting texts: keeping track of electronic literature. May-June 2016. Ula Pawlicka (Poland). Fulbright Scholar. A study of electronic literature contributing to her dissertation. August 2014-February 2015.